Using images in blog posts is an easy way to add impact and grab attention without having to spend hours crafting the right words to have the same effect. We hate to go all clichéd on you, but an image really is worth a thousand words. The purpose of including images is to make people want to read the blog post. Picking images that provoke curiosity or an emotional reaction is the best way of doing this, but you should always ensure the pictures you choose are related to the post or, if you're finding that hard, they should at least be relevant to the overarching theme of the blog. IStockphoto is an incredibly diverse stock photo website with a decent search function. Of course, being a stock photo website, you do have to pay to use the images – the smallest image size will set you back $1 – but you don't have to attribute the image when you use it on your site. If you don't want to pay to use images, the Flickr Creative Commons are your best bet. Look for images that come under the attribution license and all you're required to do is credit the photographer with a link back to the photo's page. This can be done by including a simple “Image by ...” link at the end of the post. One of the biggest risks of using images is that your blog will seem tacky and clichéd. It's easy to avoid this by hunting down unique images and avoiding things that look like they're from the back of a cereal package. As a general rule, men and women laughing with a bowl of salad (or cereal) or looking extraordinarily happy considering all they're doing is grasping a couple of apples should be avoided. 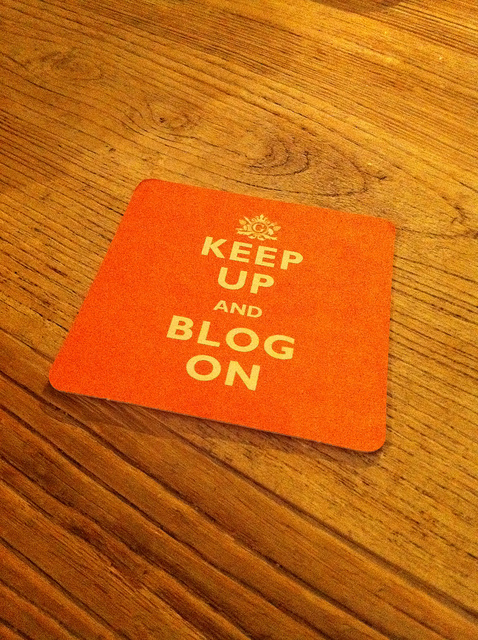 Does your blog need this? Flickr is the best place to go for a more creative, artsy vibe: it's home to countless candid, well-framed photos of people (always go for candid shots over posed ones for an authentic feel). Flickr is also the place to go for stunning vistas and landscapes, and detailed macros of nature. IStockphoto is home to imagery with a more professional feel to it, and is ideal for photographs of animals, machinery and technical photos, and for shots of isolated objects on white backgrounds. Wherever you decide to source your images from, you should always try to attribute them appropriately and choose things that are relevant to your subject matter. Bonus points for evocative images that draw readers in and make them want to know more.